Walking football is a variant of association football that is aimed at keeping people aged 50+ involved with football if, due to a lack of mobility or for other reason, they are not able to play the traditional game. The sport can be played both indoors and outdoors. Though based on association football, the key difference in the rules, from standard football, is that if a player runs then they concede a free kick to the other side. This restriction, together with a ban on slide tackles, is aimed both at avoiding injuries and facilitating the playing of the sport by those who are physically disadvantaged. In walking football the game was originally played without goalkeepers (though goalkeepers now play in some variations) and, crucially, the ball must never be kicked above head height (some teams play goal). 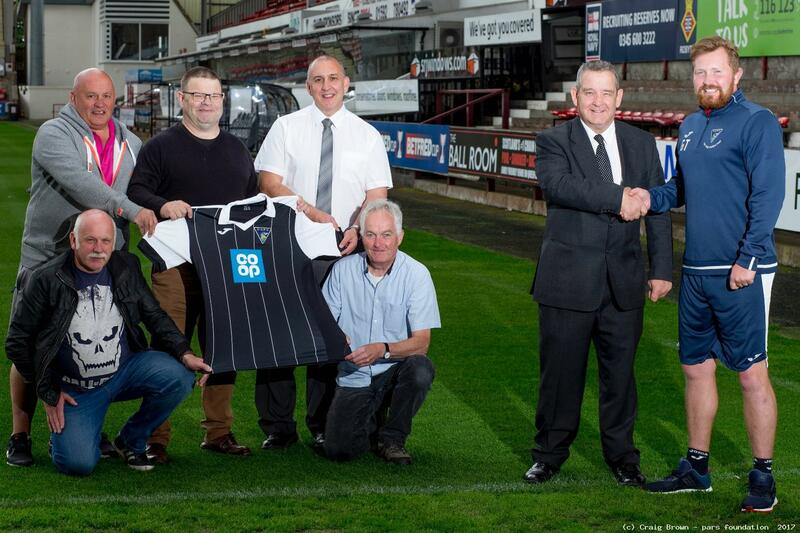 The Pars Foundation walking football sessions are open to men or women over the age of 35 this means that former FFIT participants can take part. Sessions are capped at 12 players per session with a 4 week commitment of £5 per session to be paid in advance to secure your place. Bookings can be made by emailing enquiries@parsfoundation.co.uk with your preferred day, name and contact number. Multiple days can be booked if space permits and will be payable at first session. Thanks to the Co-op for their continued support in Walking Football.